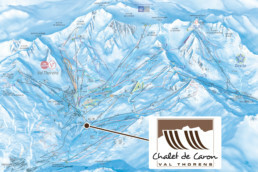 The Chalet de Caron is situated on the blue run called Cairn, accessible to everyone and directly coming down from Val Thorens. You can come without taking any skilift ! 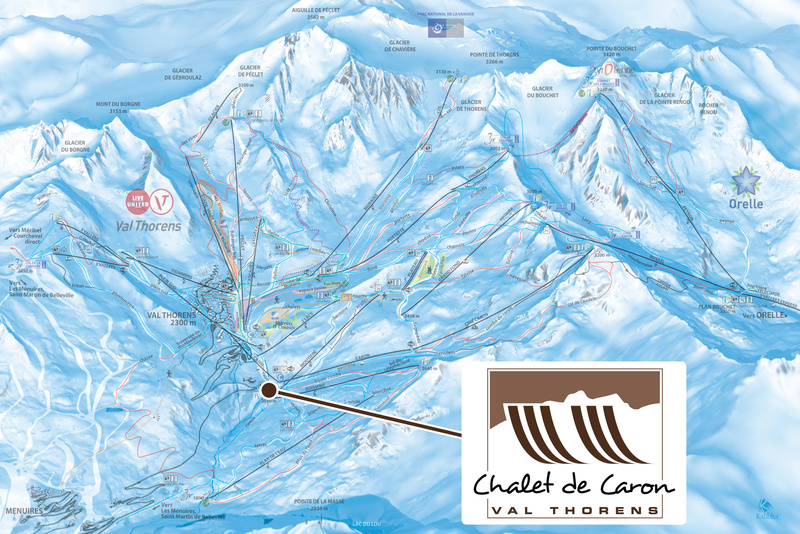 You can also come as a pedestrian by taking the Cairn gondola going down from Val Thorens. Hints ; the journey down is free for pedestians.  The restaurant is also accessible for disabled persons, and we have 2 wheel chair at our client disposal for people with handicap problems. Please fill up this form in order to contact us, and we will reply as soon as possible.